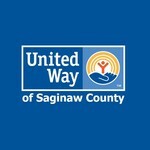 United Way of Saginaw County hasn't added a story. A number of brave Edgers will have the opportunity to rappel down the Covenant Healthcare - Mackinaw Campus, in exchange for donations to the amazing local non-profit organization, United Way of Saginaw County. Experience the once-in-a-lifetime opportunity to rappel down the Covenant Healthcare - Mackinaw Campus! The United Way of Saginaw County is a volunteer-directed nonprofit operated by a trained staff. The United Way connects funding to important programming in the areas of health, education, and financial stability. But we are more than just fundraisers. We fight for those who do not have a voice. The United Way makes it easy to give to all the causes that matter within a community. We rely on numerous small donations to create meaningful change in the areas of Health, Education, and Financial Stability. We ensure that all money donated to us is used in the most efficient and effective manner. United Way volunteers investigate the needs within our community and ensure United Way dollars are distributed to programs that work to address core issues within the community. By giving, advocating, and volunteering, we can all work towards achieving the vision of a vibrant Saginaw County community where all families can thrive. We have one life. To live better, we must Live United. United Way of Saginaw County is managing the funds for this campaign.